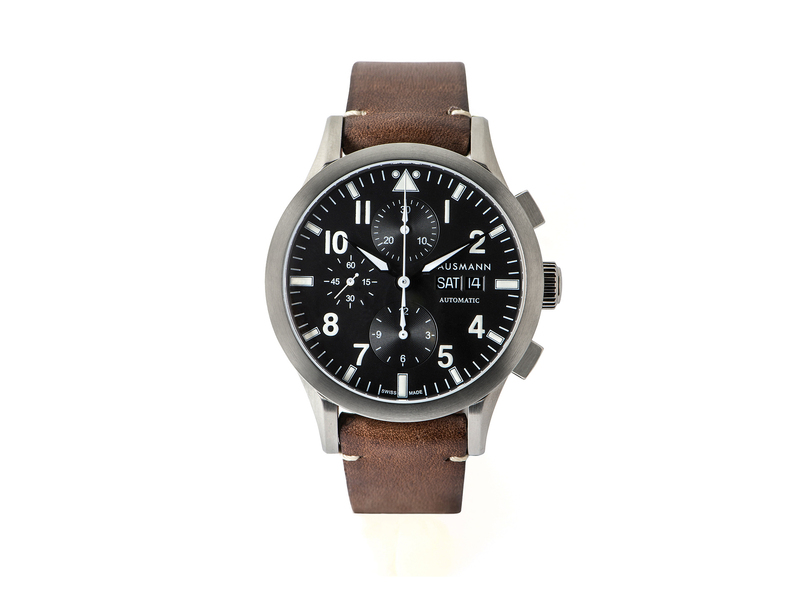 Aviator chronograph by Hausmann & Co. with black stainless steel case, diameter 42mm. Sapphire glass. 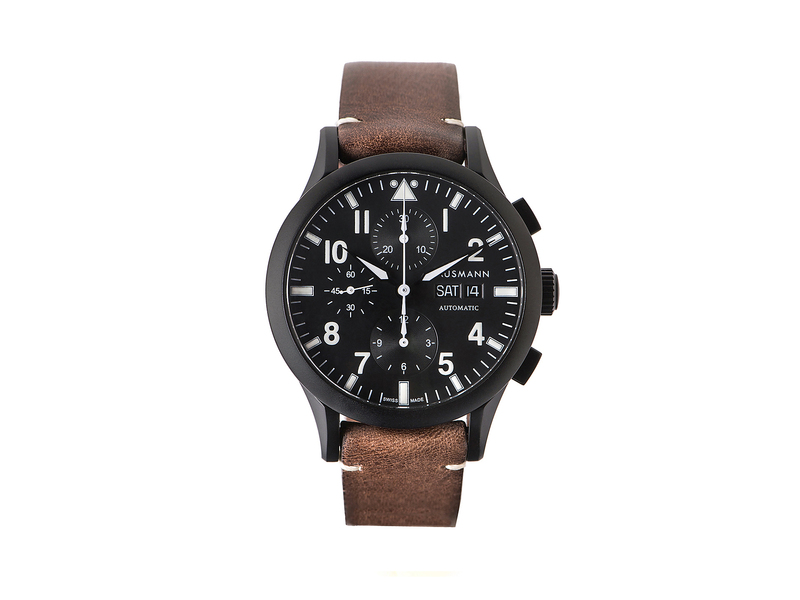 Brown leather strap with light brown seams; black pin buckle.